Holiday feasting isn't over just yet! 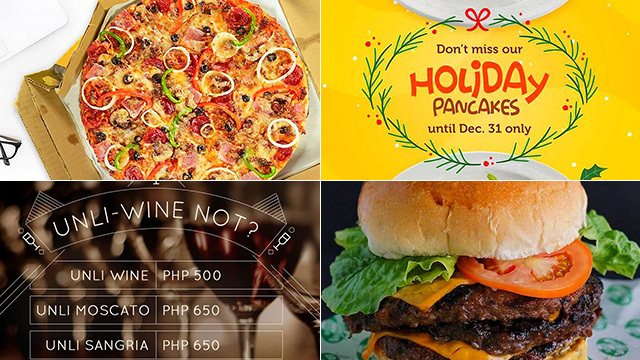 (SPOT.ph) Say hello to 2019 with the yummiest food steals and deals in the Metro. We’ve got last-minute Media Noche food ideas, beer and wine promos for when you toast to the new year, pizza deals, and more. Satisfy your cheese cravings with Subway’s Jingle Melts promo. Take your pick between the six-inch Tuna Bacon Melt and the six-inch Chicken Bacon Ranch Melt, and enjoy it with a glass of soda for just P175. This offer is available for dine-in and takeout until January 8. Looking for the perfect match to your burger? 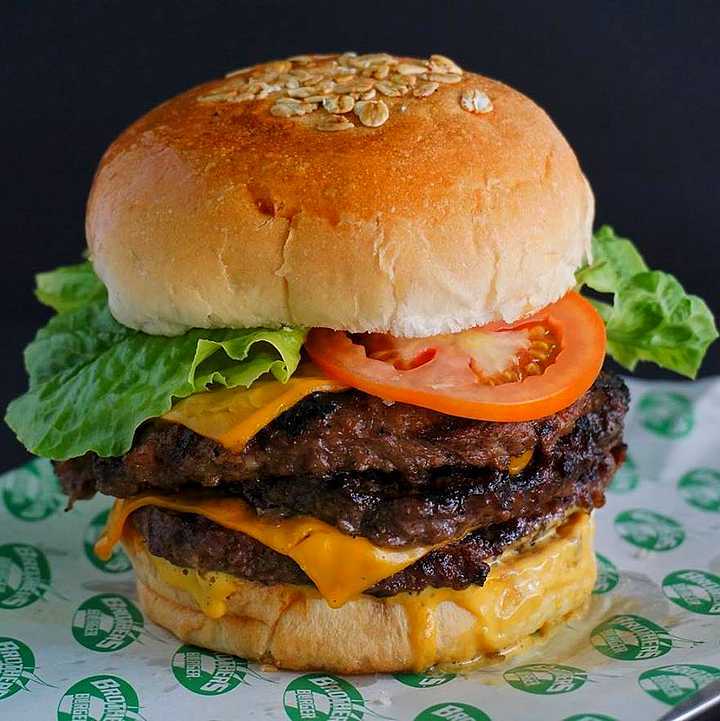 At Brothers Burger, buy one Lamb Burger and get a milkshake for free! Sink your teeth into a hefty lamb burger that comes with cheese, bacon, lettuce, and tomatoes. 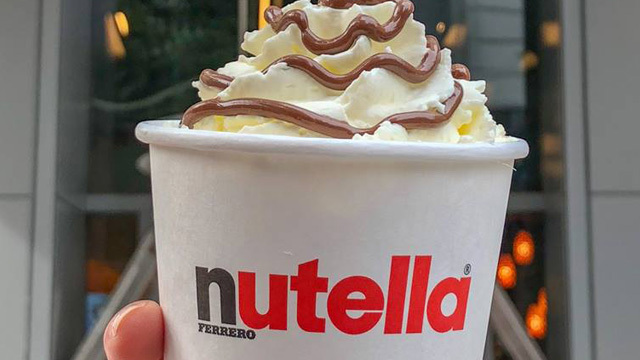 Your choices for the milkshake include Chocolate, Strawberry, or Hazelnut. This offer is available on Saturdays until January 12 only. Still thinking of what to bring to yet another potluck? You can't go wrong with House of Lasagna. 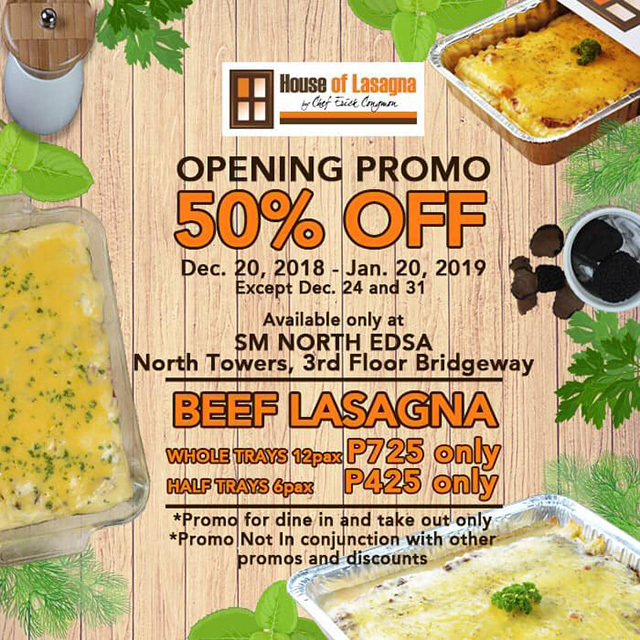 They're offering all their lasagna trays at 50% off at their newest branch in SM North Edsa until January 20, 2019. Note that the promo isn't available on December 31. House of Lasagna SM North EDSA is at 3/F Bridgeway, SM North EDSA, Quezon City. Free-flowing wine continues at Refinery. 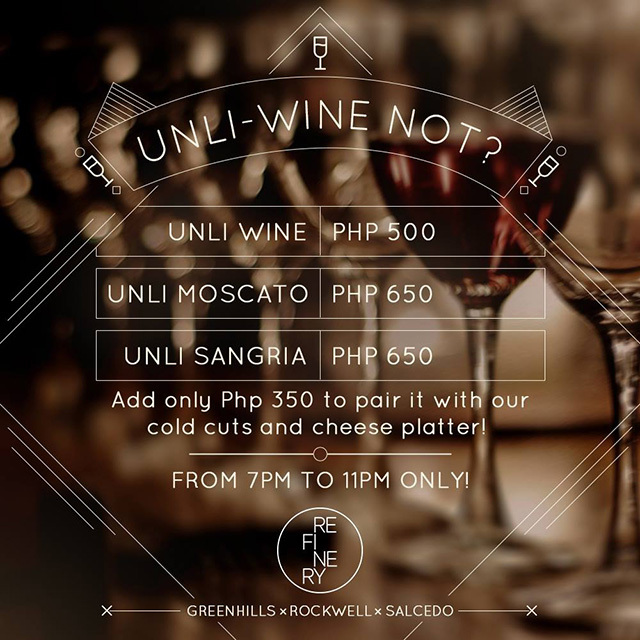 Until December 31, enjoy unlimited wine for P500, unlimited moscato for P600, and unlimited sangria for P650. Plus, add P350 and get a cheese platter because wine not? 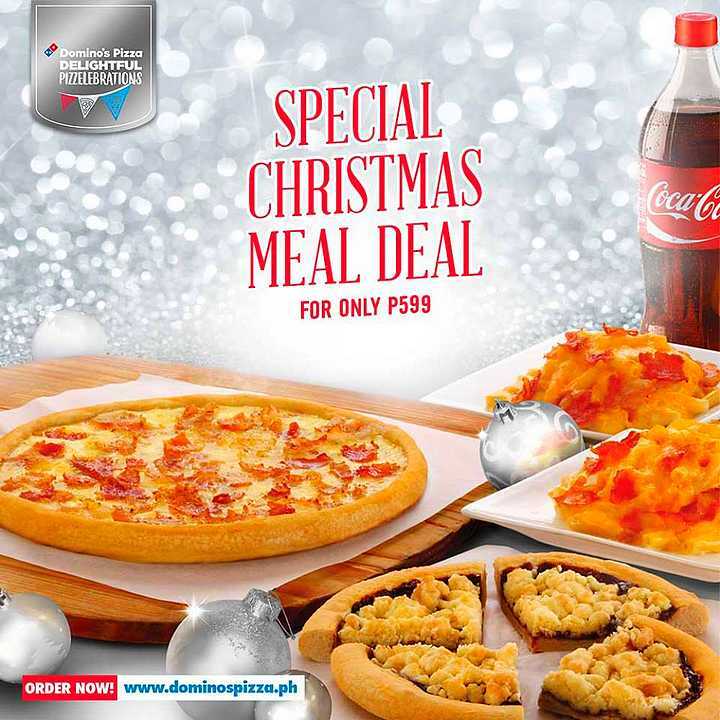 The holidays are not over just yet at Domino’s! 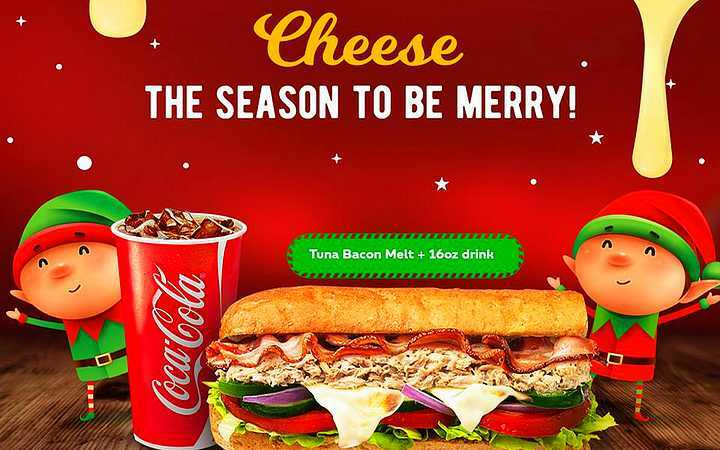 There’s no stopping the feasting with this Special Christmas Meal Deal. For just P599, enjoy a medium pizza of any flavor, two servings of pasta, one Choco Crisp dessert pizza, and a bottle of soda. 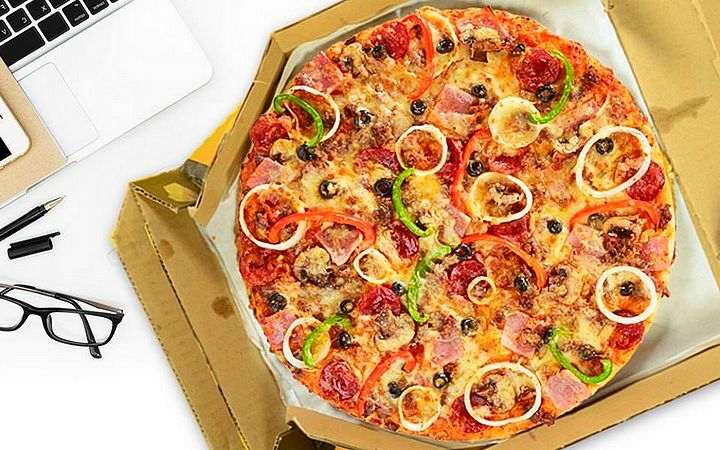 To order online, log on to Domino’s website. For more information, log on to Domino's Facebook page. 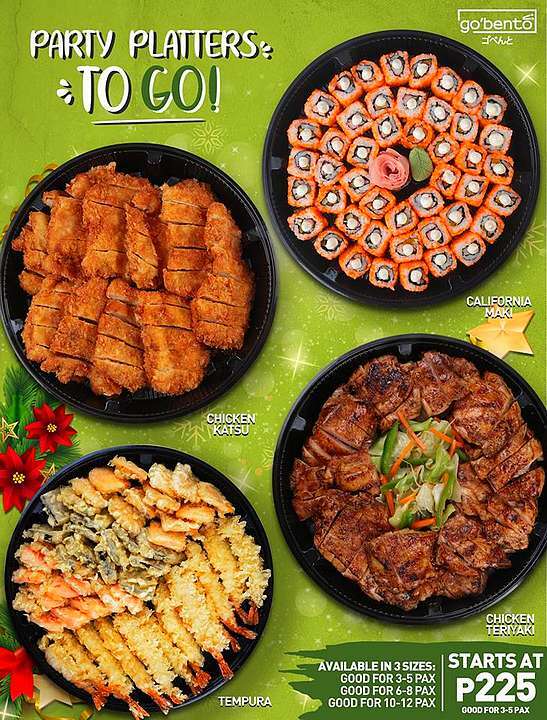 Go Bento’s holiday promo is perfect for ringing in the New Year! Order two large platters and get one small platter for free. Choices for the free platter include California Maki, Mixed Tempura, and Chicken Katsu. Orders must be placed one day in advance and is valid until January 3 only. To order, call Go Bento at 865-1565 or 0998-952-9796. For more information, log on to Go Bento's Facebook page. 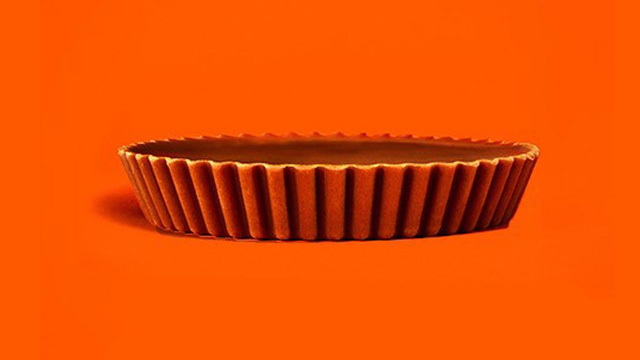 Catch them before they’re gone! 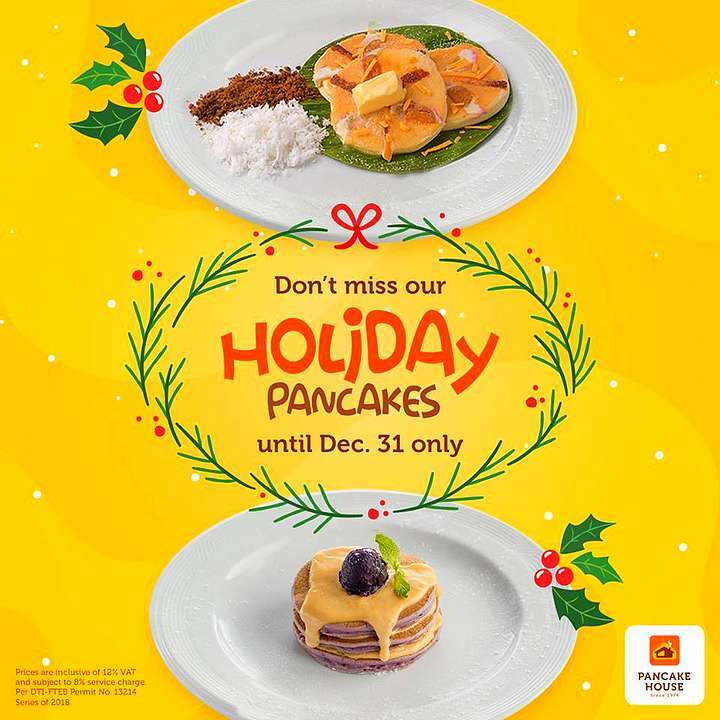 Pancake House’s Holiday Pancakes are here until December 31 only. Order either the Petite Bibingka Pancake or the Petite Ube Cheese Pancake for just P159 and get a cup of freshly brewed coffee to go along with it. Sate your pizza cravings with Yellow Cab’s year-end promo. Until December 31, you can order two Classic pizzas for takeout for just P599. Time to plan that pizza party before 2018 ends! Need last-minute pasalubong? 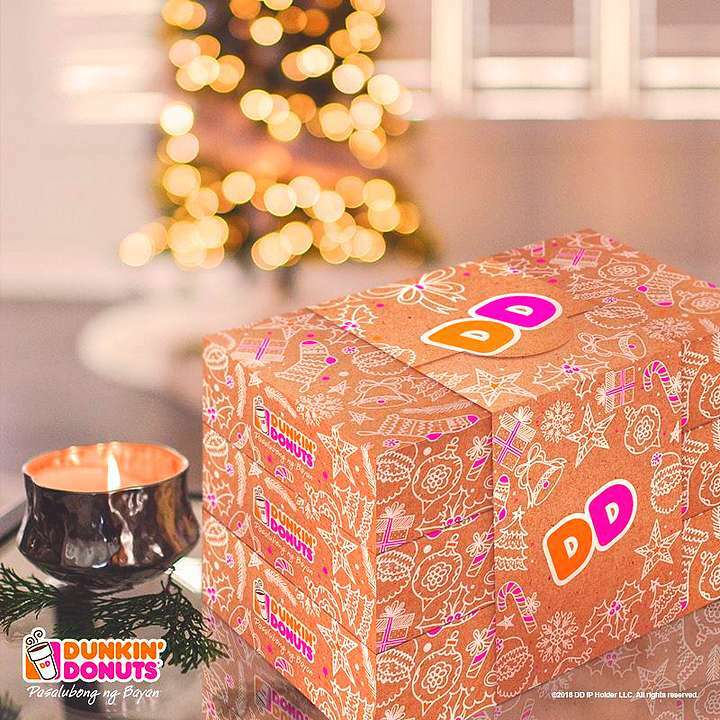 Don't miss Dunkin’ Donuts’ Big Deal bundles! For just P349, get three whole boxes of the Big Family Bundle (15 Classic doughnuts and 12 Munchkins) or the Big Barkada Bundle (15 Classic doughnuts and three Premium doughnuts). This offer’s available until December 31 only. The gift of giving continues with Coffee Bean and Tea Leaf’s yearend promo. 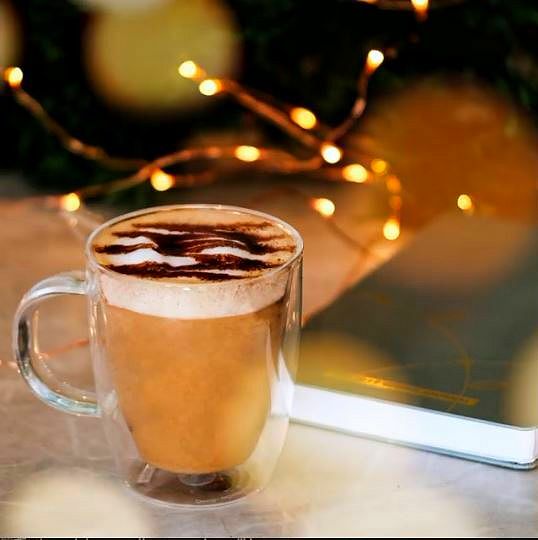 Head over today until December 31 and get a regular Chocolate Nut Ice Blended or Latte for only P100. Say hello to the new year with this heavenly goodness. See a list of Coffee Bean and Tea Leaf branches. For more information, log on to Coffee Bean and Tea Leaf's Facebook page.